BJORA Group AB offers it’s customers a very tailor made solution when it comes to project shipments. No cargo is too big or difficult to handle. Depending on the various customer demands we can offer complete turn-key handling but we also offer just charter alternatives port to port or airport to airport. On each project loading either at factory were the shipment starts or in each port were handling is performed you can count on the fact that we will have qualified staff / agents attending to make sure that your cargo is handled to perfection and as per given rules. 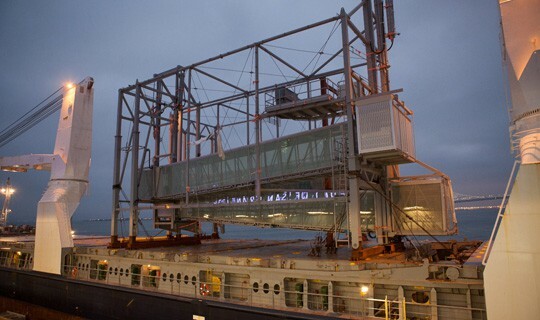 The expertise as to physical handling within BJORA often invites us to our customers drawing-table were we are given to possibilities to already at this stage influence the handling of the cargo either as heavy-lifts or as over-dimensional lifts.